Heart is the engine of our body that pumps blood into various vessels. The organ works rigorously beating 100, 000 times a day to keep our body freshly supplied with oxygen. But what will happen if our heart stops beating? Is this the end of our life? The answer is no. Today, biomedical engineering has reached to a level that can help prolong your life. Yes, it is possible with the help of an artificial heart. 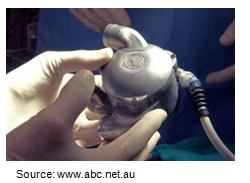 An artificial heart is a device that bridges the time during heart transplantation or permanently replaces the heart. Paul Winchell was the first person to patent a mechanical heart implanted in the chest cavity (US Patent #3097366, granted in 1963). The journey to enhance working of artificial heart was challenging. There were various clinical trials before it was practiced in human beings. In 1964, National Heart Institute established the artificial heart program and in 1969, the first artificial heart for human use was implemented. Later on Dr. Robert Jarvik invented Jarvik-7, which was implanted on the first patient Barney Clark, who survived with it for 112 days. The major breakthrough was a bionic heart in 2001, when a Brisbane engineer Dr Daniel Timms conducted a clinical trial on sheep, that contained a spinning disc with small blades on each side that pump blood around the body and lungs, without a traditional pulse. They developed a bionic heart which could last at least 10 years and could help bridge the gap between patients requiring heart transplants and the number of donor hearts available. 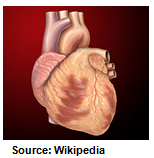 Still, scientists were hungry to make improvements to an artificial heart which could imitate natural heart. Then came the artificial foam heart which could mimic human heart and had a fleshy structure, here the key was the material (polymer) which could be molded into specific shapes and was developed by Cornell University. 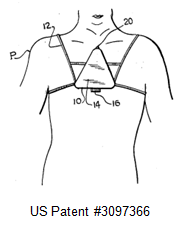 If we do a quick prior art search and try to find the number of patent applications published till date, the trend says that this device has always been in demand. There are some major players in the market who have dominated the market, such as Medtronic, Abbott Cardiovascular System, Terumo Corp., Boston Scientific Scimed and Advance Cardiovascular System. In recent years, artificial heart has reached new heights with biomedical engineers and doctors coming up with Total Artificial Heart (TAH). At the Cleveland Clinic and the Texas Heart Institute, scientists are exploring how Continuous-Flow Total Artificial Hearts (CFTAH) may suit patients with biventricular failure who aren’t eligible for an organ transplant. The BiVACOR is a total artificial heart that is designed to take over the complete function of a patient’s natural heart. Another way to imitate natural heart is by the help of tissue engineering, but according to scientists we are way far behind to achieve it. So, it’s a continuous research subject area of development. According to the recent studies by the U.S. Department of Health & Human Services, about 4,000 people wait for a donor heart transplant on any given day, and among European Union countries, 3,400 patients were on waiting lists for a donor heart in 2012. A total artificial heart that can mimic natural heart will bring boon to their lives.